Third generation Versys 650 makes the middleweight adventure better still. Perky performance, peerless versatility and decent spec all for a brilliant price make this one of the best value all-rounders anywhere. Similar to Suzuki’s V-Strom 650, Kawasaki’s junior Versys is a brilliant value all-rounder that makes you wonder why anyone needs more. Eager performance, decent handling and genuine versatility add up to a brilliant budget bike. 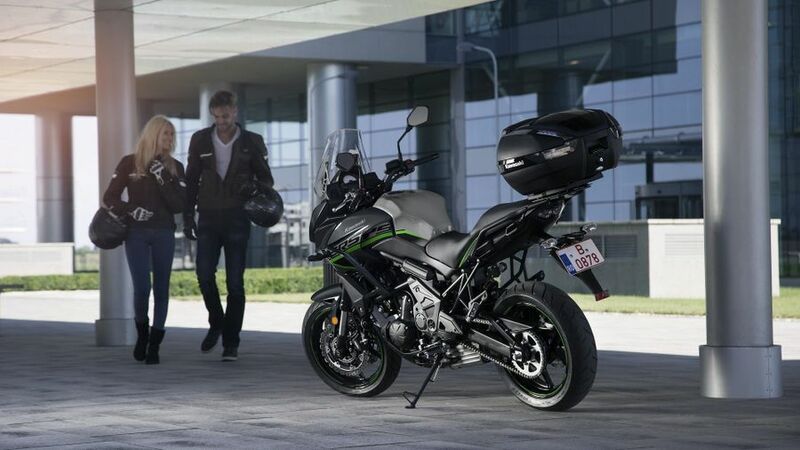 Interested in buying a Kawasaki Versys 650? This is the third restyle of the always slightly oddball Versys, a bike conceived originally, in 2006, as a sort of street-orientated adventure bike, a bit like Ducati’s Multistrada but with a budget emphasis, and it’s still no looker. But it more than makes up for that with brilliant functionalism and practicality – so much so that you’re truly left wondering why anyone would need more. That, and the fact it’s also decently entertaining and all done for such a tempting price, is its real design masterstroke. Nothing to complain about here. 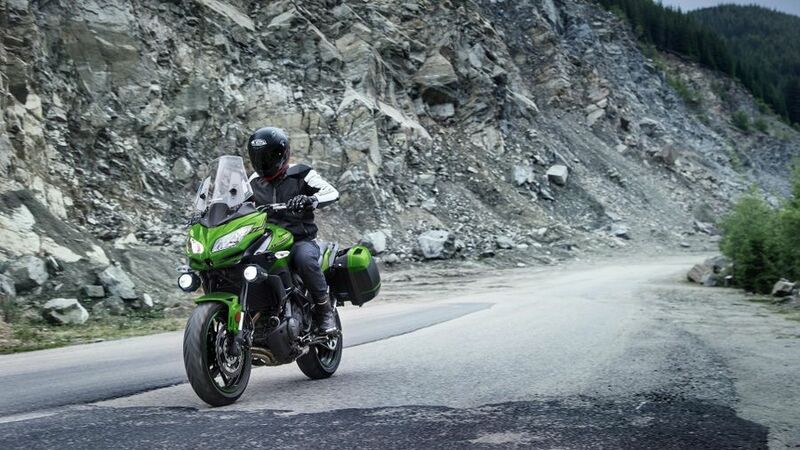 The Versys is a typical, middleweight adventure bike, again similar to, say, Suzuki’s enduring V-Strom 650 or Triumph’s hugely-popular Tiger 800, and as such is upright, comfortable and surprisingly roomy for a 650, with wide, high bars, lavish, cossetting seat and plenty of legroom. On top of that, there’s decent weather protection from the revised fairing complete with adjustable screen. For an affordable middleweight they don’t get much better. Kawasaki’s 650 twin got its name as a variation of ‘versatility’ so it should be no surprise that it scores well here. With adventure bike proportions yet a street focus it’s roomy, manageable and comfortable and is it home over any distance or type of road. There’s decent weather protection, plenty of luggage options and, for a middleweight twin, is an OK pillion-carrier, too. In short, whether you want a nimble urban commuter, holiday two-up tourer or just a bike for a Sunday ride, the Versys does it all – and far better than most bikes in this class or price band. The Versys is a relative of the ER-6 and Z650 but although powered only by those bikes’ 649cc parallel twin cylinder motor, it’s perkier and more flexible than you’d expect. In this latest, 2015-on guise it puts out a decent 68bhp and like to rev but there’s plenty of low down and midrange urge, too. In fact, it’s the same engine, which is used as the basis by most TT ‘Supertwin’ racers. That said, however, it is outpaced by Yamaha’s more recent 75bhp Tracer 700 and Triumph’s Tiger. The brakes, while nothing to write home about, are more than sufficient, too. 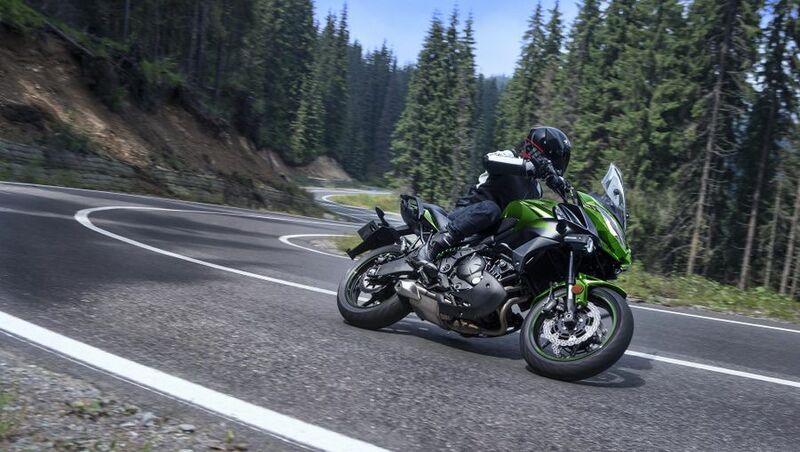 This area is one of the biggest improvements with this latest Versys 650. 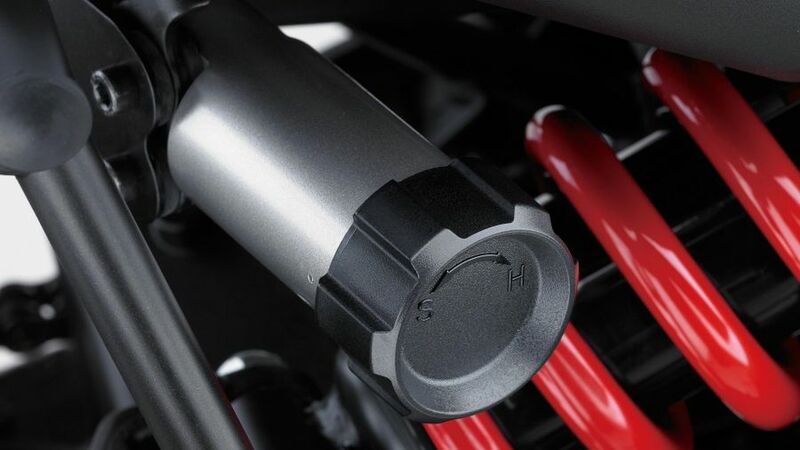 Now boasting new, multi-adjustable, ‘Big Piston’ Showa forks and an uprated, KYB shock complete with handy remote preload adjuster, the Kawasaki has a plush supple ride that belies its impressively agile and nimble handling. What’s more, being a twin, despite seeming a much larger, full-sized bike, means the Versys is also refreshingly slim and light. For an adventure bike in this price band it’s genuinely brilliant. 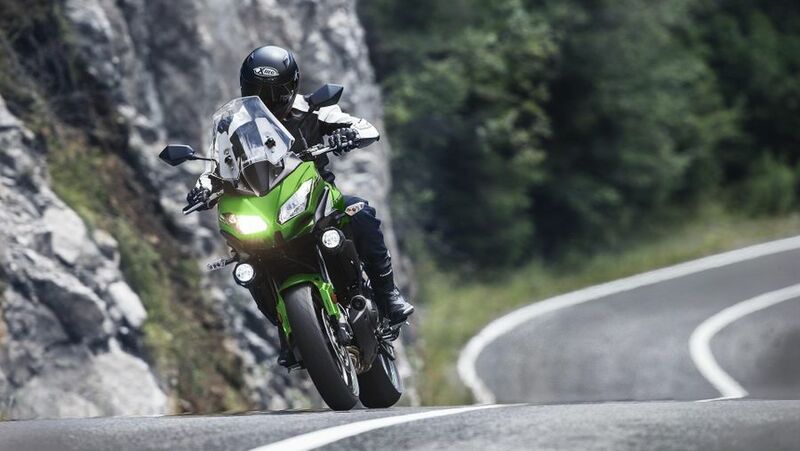 Considering its immense versatility we really have no qualms as to the Versys 650’s running costs. The original ticket price is impressively low, that motor sips at fuel compared to most, although perky, its performance won’t make particularly high demands of consumables such as chain, tyres, brake pads and so on. All things considered, we can’t imagine a bike with as much ability being so affordable mile by mile. 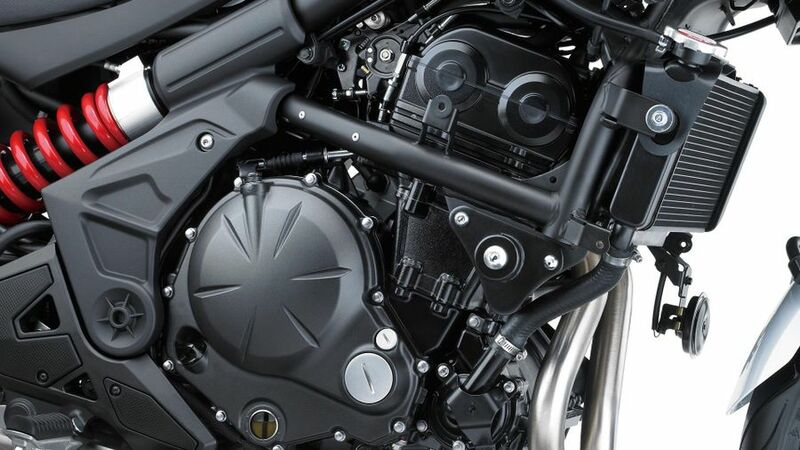 Although extremely tuned race versions of the Kawasaki parallel twin, most notably as used in the TT Supertwin or Junior race, have been known to go ‘pop’, in road trim the engine, although developed over time, has now been around since 2006 with most bugs and quirks now well and truly ironed out. In the same vein, although the Versys remains a budget bike, it’s actually impressively built and well equipped, far more than its price may suggest. 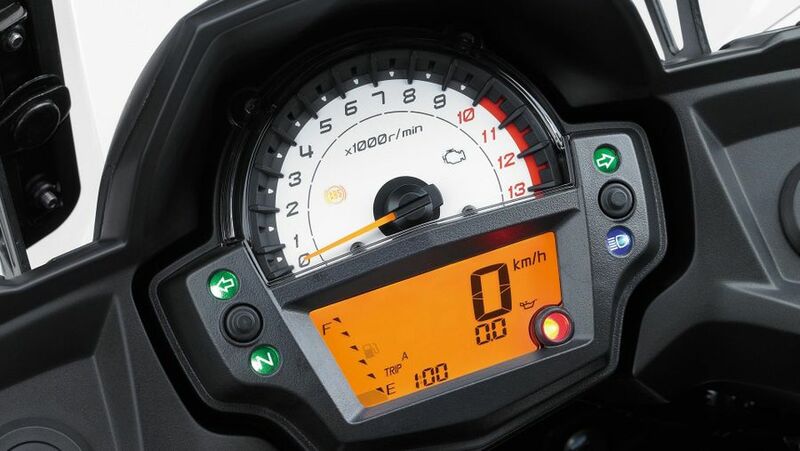 In this latest form the Versys 650 has fairly typical service intervals of every 7500miles with valve clearance checks every 15,000, so it’s not at all bad. It’s also fairly straightforward and easy to work on so you shouldn’t expect any shocks come service time. The warranty, too, is a standard, manufacturer backed parts and labour affair valid for two years irrespective of mileage. At the end of the day the Versy remains a budget-orientated machine so there’s not much to get excited about here, so don’t expect any fancy electronics, TFT screens, riding modes and the like. That said, it doesn’t really want for much, either. The clocks are pretty good; there’s an adjustable screen, large tank, comfortable seat and so on. A ‘Grand Tourer’ version is available with panniers, top box and more and there are plenty of practical accessories available as well. If you’re looking for a full-sized but middleweight all-rounder on a budget, the Versys is worth serious consideration. In short: it can do it all – scratch, commute, tour, take a passenger and more. Yes, there are others, such as Yamaha’s Tracer 700 and Triumph’s Tiger 800 that are arguably even more effective, but not for the same price. Here’s a machine that, truly, can be all things to all people.